Woot well dragon welcome to evf.. oh one wep u forgot to add.. IRon's Doomsday tank ..
OK, got some funny picture i'd like to share. Have in mind that we're all dressed like we're retards because it was carnival, and there was a lot of drink involved so costumes dont really match up. Im the guy with weird prison joker wanna be makeup. Well i was drunk. 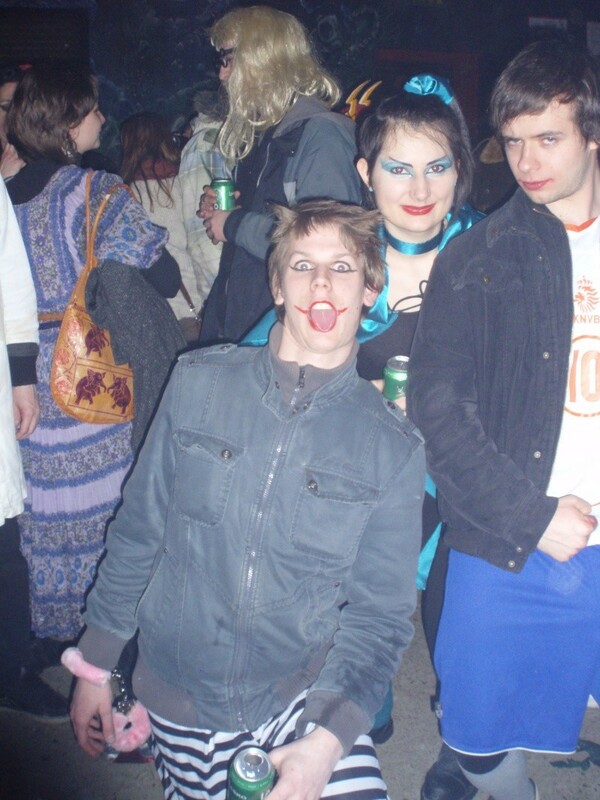 On the right it's my mate, footballer wannabe, also drunk, monster in blue is some other friend's friend. I got a tat. Just too damn cold to run around without T-shirt. Besides, those pics are like 3-4 years old. Exept the pic with violet hair, that one is from this year. Dont we all wish that in the winter.. Some people don't, E.G. [DrH]*BlackDeath*[Ldr]. He's immune to heat. fav weapon(s) : kitchen knife , K98 , gehwer .. .. Welcome to the forum WalkingDreams aka Natterman. Nice to see ya here, and a nice fight we had today. Welcome to our Forum mate, enjoy and have fun. Hopefully i did this right thank you! Im sorry scratch the in game name i put my in game name is enemy no no name thats my other account.